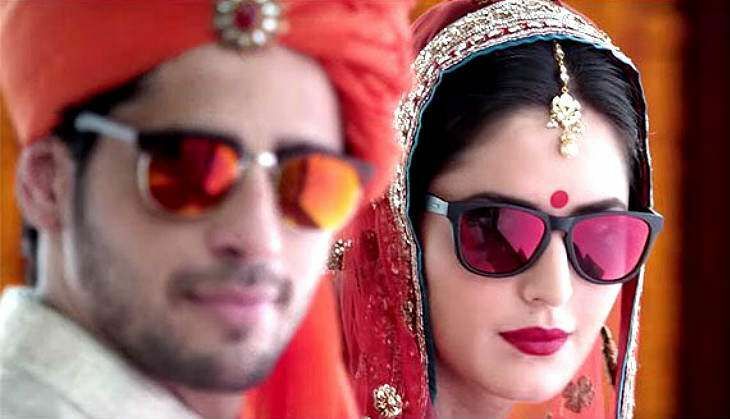 Home » Music News » Baar Baar Dekho's Kala Chashma has Katrina Kaif, Sidharth Malhotra & 2 stars you missed! The latest song from Katrina Kaif and Sidharth Malhotra's upcoming film, Baar Baar Dekho, is out! The song features the lead pair grooving to the tunes of the popular 90s single, Tenu Kala Chashma Jachda. While Katrina has proved her dancing prowess with her performances in Sheela Ki Jawaani, Chikni Chameli, Ishq Shava and Kamli among others, Sidharth manages to hold on his own. The slowed-down version of the Prem Hardeep Kala Chashma will take some getting used to. But besides the peppy beats and the insane dancing skills, this Baadhshah song also packs a few surprises. Spot any familiar faces? The talented Sayani Gupta, who played secretary to Shah Rukh Khan's character in his last release, Fan, can also be seen grooving in the video. Accompanying her is none other than All India Bakchod's Rohan Joshi. Didn't spot them the first time? Watch the song again and pause at 0:15 and 2:19. Baar Baar Dekho, which also stars Ram Kapoor, is slated for a 9 September release. The film is produced by Karan Johar, Ritesh Sidhwani and Farhan Akhtar.